Blow Away Your Competition Without Blowing Your Budget! This seminar promises to be a storehouse of practical suggestions on how to spin the doors on your store! You ll learn Retailer Tested, Real-life Retail Sales Building Ideas...Real promotions from real retailers! This seminar is chock full of Retail Advertising Strategies and Tricks of the Trade, In-store Promotions and Events with a capital E! 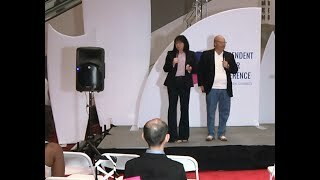 It s a seminar loaded with ideas, techniques, and programs you can take home to immediately build traffic and increase sales. We re talking Big Bang for Little Bucks! We re talking about shocking your competition and thrilling your customers without spending a fortune! You'll learn how one store completely locked up the Christmas business in his city with an unbelievable offer, and you can do it, too. Can you imagine having other businesses promote your store? They can and they will, plus they ll pay distribution costs. We'll show you how! You ll learn how one golf hole created a phenomenal success story for oneStreet Savvy!™" retailer, and you can do the same. And you ll learn how another retailer encouraged his customers to do all of their holiday shopping at his store -- and save the receipts for a gala event. It delighted his customers and drove his competition crazy! You can too! You'll learn how to harness the power of employee involvement and create a tremendously successful sale with no cost of distribution. You ll learn how to turn newcomers in your area into loyal customers, and how to dominate a newspaper page without spending a fortune. In other words, you'll learn the techniques that bring customers back to your store again and again! "Champagne Strategies on a Beer Budget" is a seminar full of Non-stop Traffic-Building, Profit-Producing, Attention-Grabbing, Sales-Generating, Competition-Miffing, Customer-Winning Retail Events and Promotions no retailer can afford to miss! Want to spin the doors on your store? Then this is the sales-building seminar you've been waiting for! Created expressly for retailers, this is a seminar loaded with "Non-stop Traffic-Building, Profit-Producing, Attention-Grabbing, Sales-Generating, Competition-Miffing, Customer-Winning Retail Promotions you just can't afford to miss!™"
We'll share strong promotional ideas for holiday times -- and not just for December! 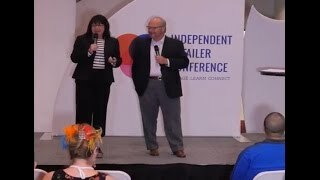 Learn what Street Savvy™ retailers have done to generate incredible business without spending incredible dollars. Examples include how-to info, ad slicks and handouts from successful holiday promotions and events run by stores throughout the country. Holiday's aren't the only time you can create store excitement. We'll share a bunch of traffic-stopping promotions any store can run successfully -- the kinds of promotions that land knockout punches. Plus, you'll leave armed with how-to info, ad slicks and handouts. Learn powerful, cross-promotions designed to build store traffic and increase sales. We'll share great win-win techniques to get other businesses anxious to promote your store, often at no cost of distribution to you! Charities call daily with requests for donations. Instead of dreading those calls, you'll welcome them, with ideas on how to turn those requests into big business for your store -- all while you are helping the charity attain its goals. How much "customer" do you get from each of your "customers"? Learn promotions, events and programs to build and strengthen customer relationships. Relationships that encourage customers choose your store first and bring them back again and again.